Here's one from our category of "You just can't make this stuff up." 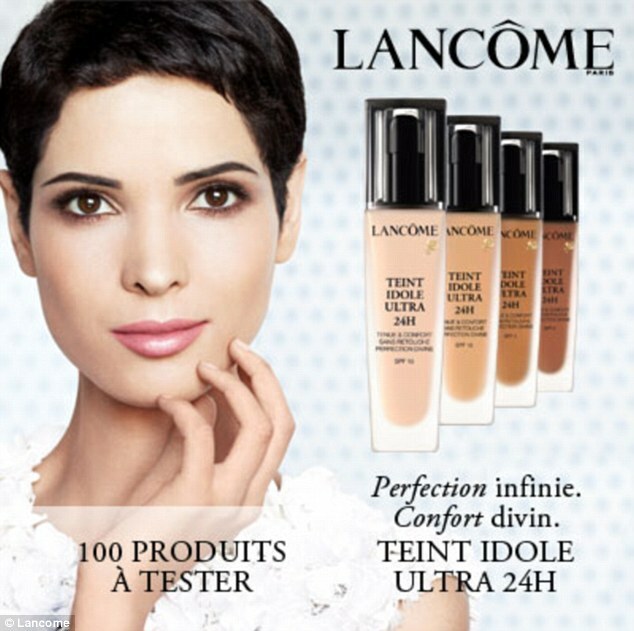 An orthodox Jewish woman from Monsey, New York, filed a suit against French cosmetics manufacturer Lancome because one of their makeup products advertised as lasting 24 hours didn't make it through Shabbat. Rorie Weisberg of upstate Monsey says the French luxury-cosmetics maker committed the sin of false advertising when it claimed that its new Teint Idole Ultra 24H provides a full day and night of “lasting perfection.” Because of the product’s failure, she says, she can’t look good and stay holy at the same time. “The 24-hour claim was central to plaintiff’s purchase decision, as a long-lasting makeup assists with her dual objectives of compliance with religious law and enhancement to her natural appearance,” her suit says. Court papers say Weisberg “is an Orthodox Jew and abides by Jewish law by not applying makeup from sundown on Friday until nighttime on Saturday.” This means the makeup would have been crucial to helping her keep Jewish law, especially at major family occasions. “Specifically, plaintiff’s eldest son is having his bar mitzvah celebration in June and plaintiff was looking for a long-lasting foundation that would achieve the foregoing dual objectives over the bar mitzvah Sabbath,” the suit says. It charges that the pricey face paint — $45 for a 1-ounce bottle — “faded significantly” overnight. "Lancôme strongly believes that this lawsuit has no merit and stands proudly behind our products. We will strenuously contest these allegations in court. Consistent with our practice and policy, however, as this matter is currently in litigation, we cannot comment further," a spokeswoman for L'Oreal said in a statement. Just before posting this story, we checked Vos Iz Neias, the Haredi web site that also carried the story, and found 66 comments on it, most not supporting the woman who filed the suit. The most common words in these comments? chilul Hashem and narishkeit. This woman needs lots of attention, and she's getting it the wrong way. On some level, she must know that what she is attempting to do is WRONG. Make-up shmake-up! Take the make-up back to the store and get a refund. If you do have children, you are demonstrating for them that it's ok to make a big deal out of nothing, and especially that it's OK to be dishonest to try and make a buck. You KNOW this lawsuit is frivolous and a waste of time. The fact that you found a lawyer to represent you is a shonda, and you should both be ashamed of yourselves. Get out now and save what's left of your dignity.